Don't bet against Jeff Bezos! 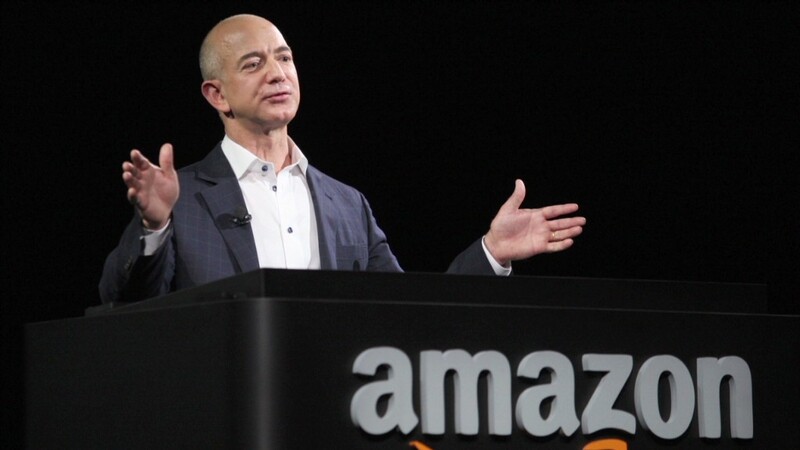 Amazon CEO Jeff Bezos has been in control of The Washington Post for one year, and now we're seeing some synergies between the two. A new Post app is being installed on Amazon Fire tablets, giving Fire users free access to the newspaper's articles and videos for the next six months. The Post says the app has been "built specifically for a national and international readership." Like a print newspaper that comes out once a day, it will have two editions, at 5 a.m. and 5 p.m. each day. It's part of a push to expand the newspaper beyond its Washington-area base. The roll out was announced jointly by The Post and Amazon (AMZN). It'll become available on other devices in the future -- so Thursday morning's press release touted "exclusive first access" for Amazon Fire tablet owners. The Post intends to charge for the app in the future, much like it charges for print newspaper copies and portions of its web site. But it will be free on the Fire for six months. It's pretty easy to make that happen when the same man owns the tablet maker and the newspaper. Bezos wasn't quoted in the announcement, but the Post publisher he recently hired, Fred Ryan, was. "With 42 million monthly readers and growing, this is another step forward in our effort to serve an even larger national and global audience," Ryan said. "We are thrilled to be working with Amazon to offer this first to Fire tablet customers." Bloomberg Businessweek first reported on The Post's plans with Amazon last month, calling it "the first sign that Bezos will create ties between the newspaper and the e-commerce giant he started 20 years ago."